Patterson Park, Charm City's very own version of Central Park. Have you checked out one of Baltimore City's most attractive features? Patterson Park is named for William Patterson, in 1827. Patterson was the owner of the B&O Railroad (B&O stands for Baltimore and Ohio), which was immortalized in Monopoly. Patterson was one of Baltimore's wealthiest barons of his time. Patterson donated 5 acres to the city for a public walk in 1827, and the city purchased an additional 29 acres from the Patterson family in 1860. Additions and improvements to the park made after 1859 were funded through the city's "park tax" on its streetcars, which was initially set at 20% of the fare. The park itself was designed by the famous Olmsted brothers, whose landscape architecture firm also designed Central Park and Golden State Park! Patterson Park: Not just a park! During the Civil War, the site was used as a Union troop encampment. Additional purchases in later years increased the park size to its present 137 acres. 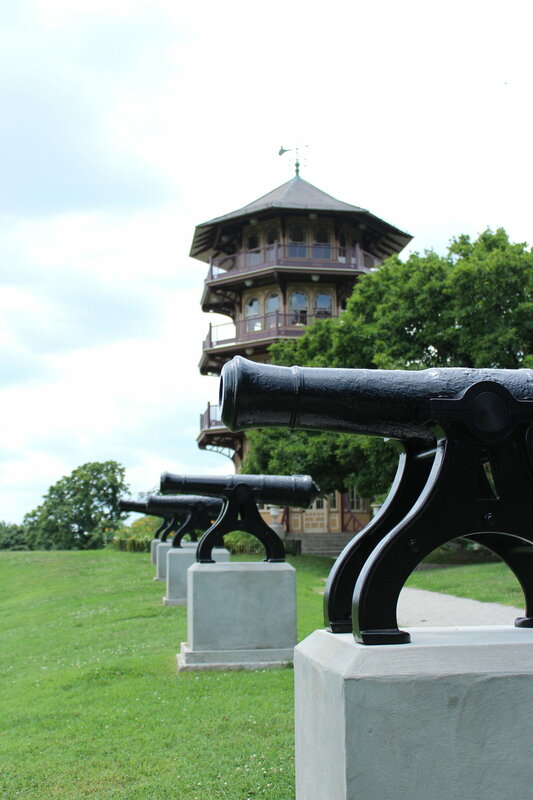 The 60-foot Pagoda, designed by Charles Latrobe, was built on Hampstead Hill in 1891 and has been refurbished along with other park structures. The area has been used for a multitude of purposes over it's centuries of existence - a lush paradise for locals in the early 1900's; home of a conservatory of music in the mid 1900's; and so many more. Now, the Friends of Patterson Park (non-profit) uses funds raised from local activities, as well as city/state funding for parks and recreation, in sustaining and maintaining the park. Of the many events held at the park throughout the year, you can always find a festival in the summer. Greek Fest, Ukrainian Fest, Italian Heritage Fest, and many others. There are frequent athletic events, and even a moving art event from the Visionary Art Museum called the Kinetic Sculpture Race. Look out for events sponsored by Friends of Patterson Park as fundraisers - these are especially wonderful. A recent event we attended, was filled with neighbors and supporters of the park. Local restauranteurs and brewers were abundant - each had a sample of cuisine and local libations on hand to enjoy. After wandering around and enjoying the food and drink, the Bite of Baltimore team stayed near the Modern Cookshop table, for the selection of wonderful wines; the Charm City Meadworks, for their locally brewed Mead; and the wonderful Balti'Maroons dessert table, for their sweet treats! The selection from Water for Chocolate was unreal (as is everything Chef Sean touches) and the meatballs from Cafe Gia disappeared like lightning flashing across the sky. 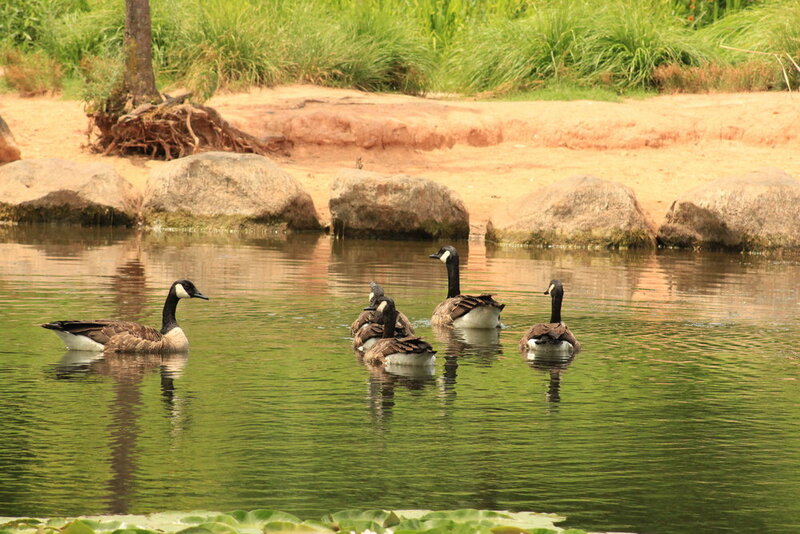 .Additionally, the pond in the center of the park has become a wildlife refuge of sorts. It's not uncommon to see hawks, cranes, turtles, lizards, snakes, geese, ducks, or anything else you cannot possibly imagine living in the middle of Baltimore City. To say that we are lucky is an understatement. Anyone living outside of the city would never imagine such a lush and vibrant park in the middle of Baltimore. Even those who live in Baltimore would be surprised to learn it is only one of a handful of other large public parks that are vibrant, lush, and among some of the largest inner city public parks in the country. Loch Raven, Robert. E. Lee, and even Patapsco State parks are all beautiful, accessible, and welcoming. Get out, join Bite of Baltimore for a tour, then go relax by the lake in Patterson? Sounds like a great way to spend the weekend in Baltimore!